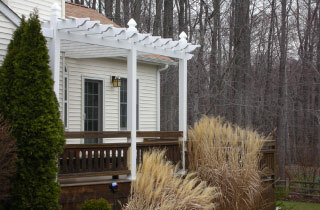 The very first thing you need to decide is if you want an attached patio cover or freestanding. Take a look at our extensive photo gallery to see what style may fit your application. We definitely sell more attached kits due to personal preference but in certain instances where attached is not an option, freestanding is also a great choice. 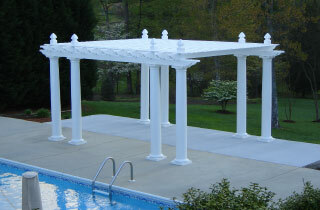 Freestanding pergolas are very popular for pool areas, hot tub covers, or that special place in your backyard. We found VinylPatioKits exceptionally easy to work with. Our pre-order questions were answered quickly and accurately. The kit arrived exactly when indicated and with all necessary parts. We are extremely pleased with our purchase.